We are so excited to share our new “SKILLS” with our listeners! 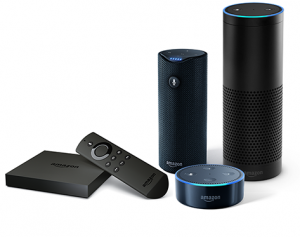 You can use skills on Alexa-enabled devices like the Amazon Echo, Echo Dot, Amazon Tap, and Amazon Fire TV. Alexa is also available on a growing list of non-Amazon devices like the Triby family-friendly kitchen device, and Nucleus, the world’s first anywhere intercom.